Jay Parker has been an advocate and volunteer of The Robert D. and Billie Ray Center for many years. 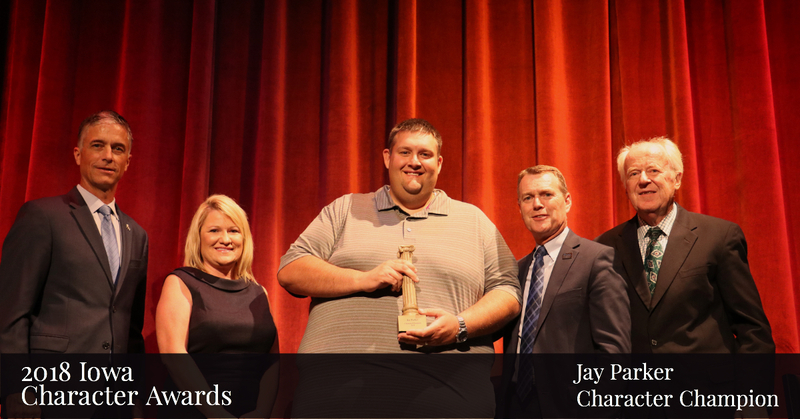 As a long-time employee of Wells Fargo, Jay has committed countless hours supporting The Ray Center’s efforts to positively impact Iowans through character development. Jay lives in Urbandale with his wife Annika and their two children Jaren (7) and Adelyn (4). He enjoys collecting sports memorabilia, playing board games with his children, and being an Iowa Hawkeye fan.